Well, hello there. I just checked my archives and found that I haven't done a Friday food post since October. And before that, it was August. And June. I guess I haven't been very faithful in that, have I? Oh, let's be honest. I haven't been faithful at all. And what I also know is that I love to share my food with you. So one goal that I have for this year is to share more recipes with you. I promise you I won't blog about food every week, but maybe every two or three weeks might be reasonable. At least once a month--how about that? So, with that out of the way, let's move on. Let's talk about pots, shall we? I've become a collector of pots, it seems, because my cupboard is bulging with them. Here's one of the earliest pots I acquired. I think I stole this from one of my college roommates, but I'm not sure. I don't think it was my moms. That's how old this pot is--I can't even remember when or where I got it. It's kind of hideous, isn't it? But it still works great, and I'm sure some college girls will LOVE using it next year. 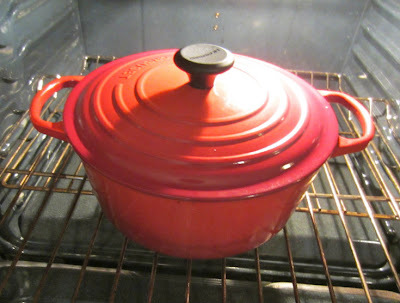 The next pot is one of my favorites--you've seen it featured here many times before. It's a Magnalite roaster that dates back to probably the 1950s. 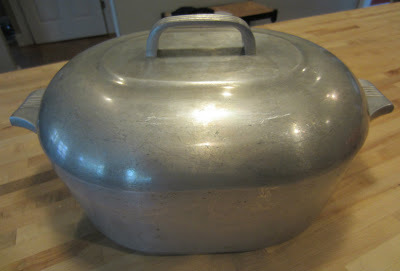 But this one is special because it belonged to my Grandma Nell. She gave it to me when I was in college, so I have had this since before I got married. This beautiful roaster has made many a meal, has seen many a disaster, and has given me many moments of happiness. I'll be sad to ever see it go. 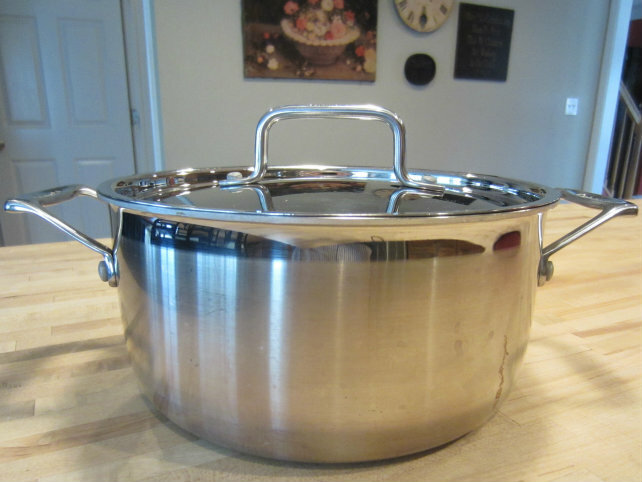 Several years ago, when I worked at Williams-Sonoma during the Christmas season (yeah, it was fun and no, I didn't make a dime because I spent it all), I bought this shiny Calphalon pot. 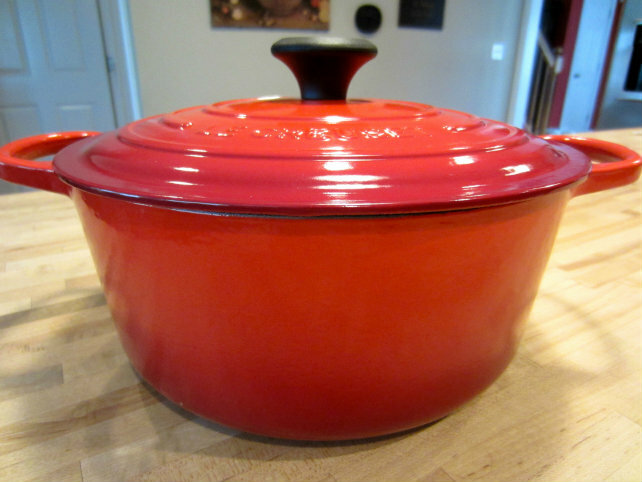 Lots and lots of delicious soup has been made in this one. I also have a 12-quart stock pot complete with both a steaming AND a pasta basket. But I didn't give you a picture because I need to move on. This Christmas my dear husband gave me this. I will love him (and it) forever. I have been hinting and hinting for YEARS that I would love to have a Le Creuset, ever since the Williams-Sonoma incident, I think. He finally took the bait. 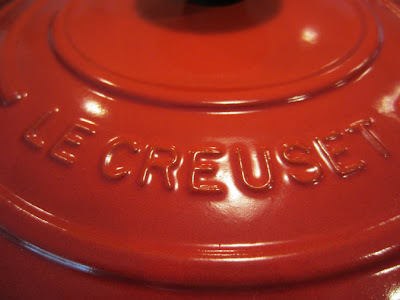 I've already used it at least four times since Christmas, but I wanted to share with you my inaugural recipe for the Le Creuset: Braised Short Ribs. I made these on New Year's Eve for our family. Get ready to lick your chops. These are GOOD. Never had short ribs before? Never even heard of short ribs? Me too, until a few years ago when my husband took me to the most amazing French restaurant that served Short Rib Ravioli with Sherry Cream Sauce. Heaven! 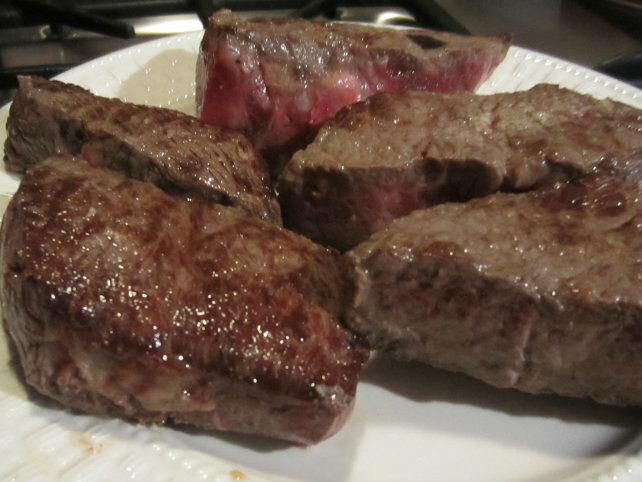 Short ribs (known in the UK as "thin ribs" or "Jacob's ladder") are a strange little cut of beef. 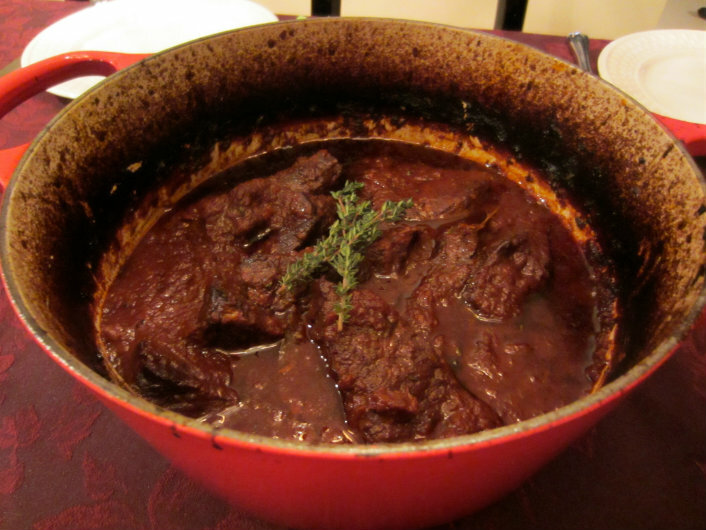 They can be tough, which is why they require long, slow cooking methods. I get mine at Costco where they come boneless and cut in long strips, but you could probably get them at a butcher shop, too. I saw Anne Burrell make these on the Food Network a couple of years ago and thought, I could do that, because Anne makes everything look so easy. Turns out they were! This is pretty much Anne's recipe. Take your beautiful pot. Or your old dingy one. It really doesn't matter. Get it good and hot and put a little olive oil in the bottom. Add the meat and brown it well on both sides with plenty of salt and pepper. While the meat is browning, take some onion, carrot, celery, and garlic, and pulse it in a food processor. Go ahead. Pulse away. Anne says to make a paste out of it. When the short ribs have finished browning, set them aside on a plate. Then add a little more olive oil to the pot and add the vegetables. 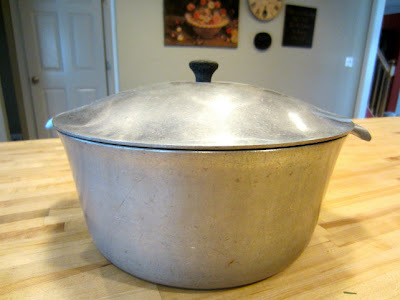 Anne says to brown the vegetables until a "crud" forms on the bottom of the pot. Scrape it, brown some more, and scrape again. 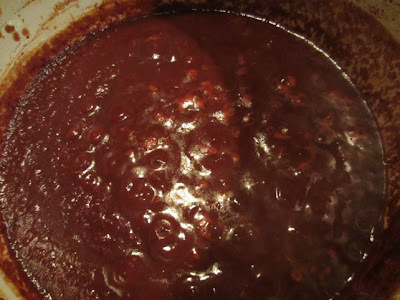 Then add 1 1/2 cups of tomato paste (that's a big can--12 ounces) to the crud on the bottom of your pan. Keep browning and scraping, browning and scraping, because this is where all the flavor comes from. Trust me, it's worth it. 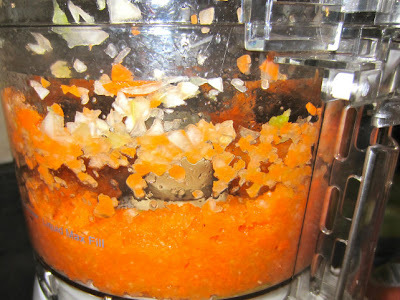 Now add lots of red wine and let the whole thing bubble and reduce for a while. 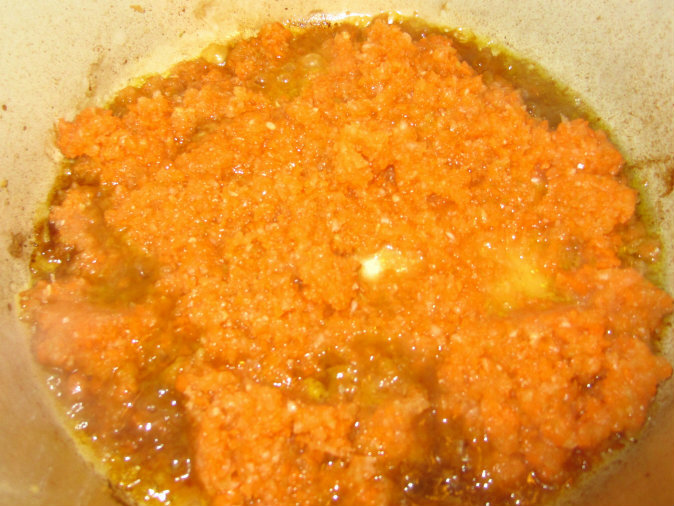 In the end, you'll get a sauce that looks like this. 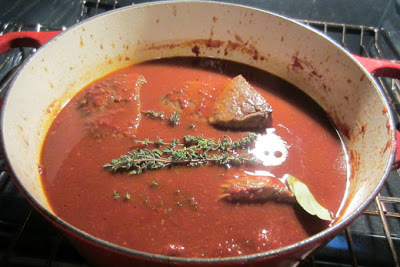 Add the short ribs to the sauce and add enough water so that liquid covers the meat. Place a bundle of thyme on top, along with a bay leaf or two, and put the whole thing in the oven for three hours. When finished, the short ribs will be tender and, ohmygoodness, so delicious. Serve them on a pile of homemade mashed potatoes. Your family will think they've died and gone to heaven. So there you go. It's a long weekend, it's supposed to get cold, so you need something to do. Go make this recipe. Don't be afraid of it. You can do this! And if you want a printable copy of this recipe, click here. 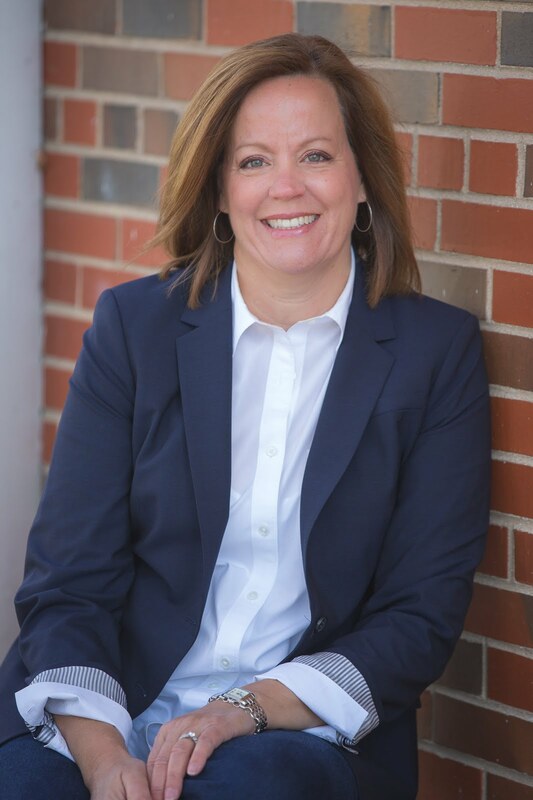 Linking this post to Amanda's Weekend Bloggy Reading Link-up. I like the history of you and your pot, I mean pots. Beautiful pot! I've been eyeing that one and wondering what I need to get rid of in order to make room for one - maybe for the Birthday or..... This post made me ready for dinner! Looks delish! I have always wanted that pot, too...but just because it is pretty. I never knew how to use one...thx. I love all of your pots--old and new. LOVE the red one especially. We get a whole beef butchered every year and we always give the short ribs to our son because he has a special recipe he got from his Korean friends. Might have to keep some this year and try your recipe. Looks delicious. 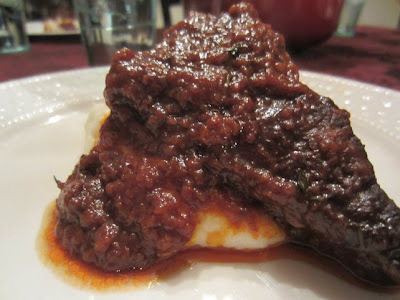 Linda, definitely KEEP the short ribs and try this recipe. So yummy! Yum! Can't wait to try this one. Thanks for the step-by-step pics. I have never made these before but they look so darn delicious I really, really want to. And I've been hinting for one of those pots for years now too. I think I saw that very episode with Anne Burrell. All I could think was how wonderful your house must smell when you cook these. I love beef short ribs, and what a coincidence, I just made them YESTERDAY :)!!! 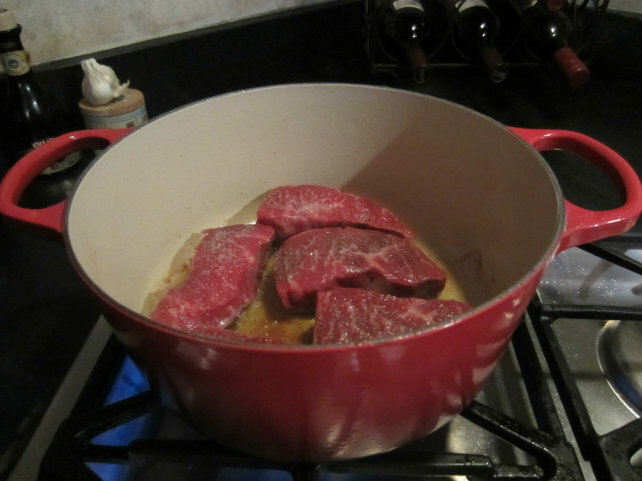 I use PW's recipe and it works for me, except I leave out the wine and just use beef broth. They turned out delicious!! I love cooking pots too. 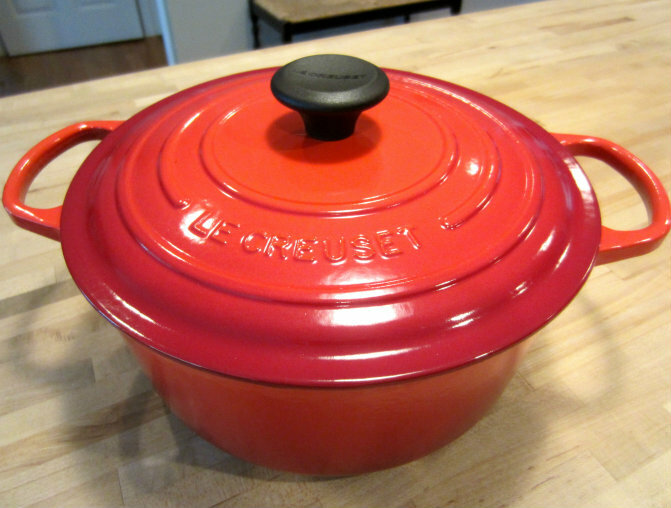 I had wanted a Le Creuset for years, and finally found one a couple of years ago at TJMaxx for about HALF the price of a new one. I was thrilled. The very first time I used it I made green beans to take to my husband's sister's house for dinner. My husband carried it out to the car and dropped it. And broke it. It has a crack down the side and a couple of places where the paint is chipped off. I still use it!!!! And, when I grow up, I want to OWN a Williams-Sonoma store. Some folks like Disney World . . . me, I just wanna live at Williams Sonoma!! !